Buying a timeshare is no problem at all. You can get a free lunch and maybe a boat ride, a massage or some other perk just for listening to a hard-sell pitch for a resort getaway that you use for a few days each year but pay for all year. 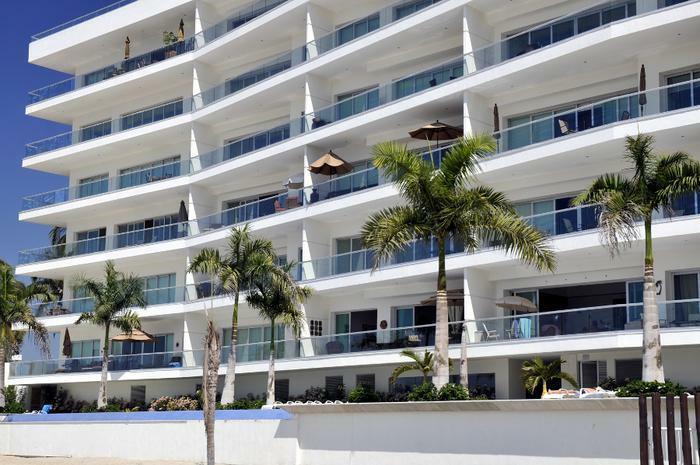 But as consumers sometimes learn to their dismay, the timeshare payments add up and they're not often able to use the facility as frequently as they had hoped. Even worse, people lose their jobs, move away, get old or sick. Sometimes they die, leaving family members trying to figure out what to do with their timeshare. Bingo, along comes a friendly voice on the phone, offering to sell the unit for a small fee. Sometimes, the person the phone even claims to have a buyer all lined up and ready to lay down some heavy cash. The hitch? It might be taxes, or a processing fee or a filing charge -- you know, something that sounds reasonable. Christy: Can you please give me some advice. We bought a time share with Occidental. A third party contacted us looking to buy it for $16,000. We want to get rid of it, they said the buyer is in Mexico and we need to pay an upfront tax of $2,700 before the $16,000 is released. What do you think. ConsumerAffairs: NO, NO, NO. You will never see your money again if you send it to someone in Mexico. Don't do it. Christy: Have you ever heard of this group Third Coast Group out of Texas? They are the ones working with us. Said the $2,700 is a tax to Mexico that we have to pay before we get the money. ConsumerAffairs: We do not recommend ANY timeshare resale company that charges an upfront fee. Christy: They are saying it's Mexico taxes. We have been contacted by these 2 groups out of nowhere, saying that they have offers to our timeshare. Sounds believable, but both of them are insisting we have to pay the closing cost, legal documentation costs and transfer costs, first before they can proceed with the sale. It is not a small amount, almost $1,500. We also heard from John, who had thought he was free of his timeshare, only to find out that he was out thousands of dollars and still stuck with the timeshare. In October 2013, an agent for Exit Pros, a company in Daytona Beach, came to my house and convinced to turn the deed over to them and they would pay the maintenance but would offer me no money. On the contrary, I ended up paying $3,200 to them for transfer fees and other indigestible costs. In April 2014, the timeshares association assessed me $1285 for refurbishing costs. I explained that I no longer owned the property.but they informed me that I was still the owner. Joe: My wife and I got caught up in a timeshare resell scam while in Los Cabos, Mexico. I am seeking information about attorneys who have experience with these fraudulent companies. ConsumerAffairs: If the transaction occurred in Mexico, you need a Mexican lawyer. Simple as that. No one in the U.S. can retrieve money that you paid to someone in another country. Joe: The first part of the scam took place in Mexico and I understand that. The second part of the scam is solely with a reseller company in Wilmington, Delaware, with absolutely no reference to Mexico other than the contract was signed in Mexico. Also, I have not sent any money to this outfit but they are trying to compel me to wire money to "continue with the process". ... Quite sad indeed! I guess I will just tell these con men to go pound sand and fight them in court if they file suit. A contract signed in Mexico would normally be subject to the laws of Mexico, not the United States, so it's likely that it's safe for Joe to ignore further entreaties. I was solicited by Le Reve to visit their property while in Mexico on June 4th. They offered me $25,000 for my existing timeshare in NC. The amount is much more than I paid, and they explained that Mexican nationals can obtain a VISA to enter the US much easier if they have property in the US, therefore this deeded timeshare that I own is very valuable to them. To make a long story short, after much wining and dining and free massages, Gina was told she would have to buy into a new vacation membership plan called Le Club. After that, she would be paid $25,000 as well as $6,000 each year for renting out some of her Le Club weeks. She didn't tell us how much she had to pay in exchange for all this but admitted it sounded too good to be true. Guess what? It was. The money didn't come through, the Le Club website is "under construction" and Gina has a big fat hole in her bank account. So what do all these cases -- just a few of the hundreds of similar incidents we hear about -- have in common? Well, aside from the fact that they all involve timeshare resellers, they require money to be paid upfront and many of them either take place in Mexico or require the would-be seller to send money to Mexico. Either of these should be a tip-off. No one should ever pay upfront fees to sell anything -- whether it's real estate, a timeshare or an antique cello. Fees should be deducted from the proceeds at the time of the sale. In other words, if you sell a timeshare for $25,000 and there are various fees totaling $2,000, you should get a check for $23,000. And the proceedings should be signed in the presence of licensed attorneys, duly notarized, etc. Second, money sent out of the United States is gone. There is no way to retrieve it if you change your mind later. Period. Anyone who tells you otherwise -- especially if it's someone asking you to send them money -- is either misinformed or trying to scam you. (Yes there are exceptions to this but they are seldom available to the average consumer and any attempt to legally recover funds sent overseas will be very expensive -- much more than a few thousand dollars). In summary, timeshares are very tricky. The time to avoid trouble is before you buy one. Read some of our earlier stories about timeshares and consult your attorney before signing any timeshare document. Why move to Canada when Mexico beckons?